When you’re the noncustodial parent, days and weeks go by without you being around your child or children. During this time the custodial parent– your ex– who’s hell-bent on sabotaging your relationship with your child has ample opportunity to do so. There are some strong signs that appear in most brainwashing households. You can’t be there in person to observe all the things said, the lies told, or the subtle put-downs, so you will have to look elsewhere– to the telephone, cellphone, text messages, and emails. How to fight this? The short answer is to call your child on a regular basis (once a week, twice a week, etc), and stick to it. Also send texts and emails, even super short ones, when you think of your child. If you’ve been unable to get through to speak to him or her, make sure you let them know that you’re excited to finally reach them. If you’ve left a voicemail, ask them “So did you get my voicemail?” That way, if they didn’t (as is likely), they’ll realize that you did reach out to connect with them. Older kids will even figure out on their own that a parent is withholding messages from them. The big picture, of course, is to get the child into counseling. Even call Child Protective Services if your child’s emotionally wrecked. Make sure you document everything– to include tape recording phone calls (if legal in your state), logging all the times you’ve tried to reach your child, etc. If your child custody decree doesn’t mention anything about telephonic or electronic access, then consider hiring an attorney who can make a “motion to modify” the decree. Some decrees include specific hours whereby your ex must make your child contactable. That way if your ex doesn’t comply, he or she could face the wrath of a judge. It’s a very difficult thing to have to suffer through month after month after month, with the only let-off being when you have possession of your child. But hang in there. 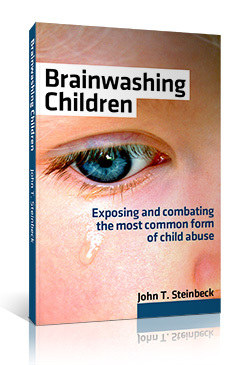 Keep a steady flow of calls, emails, and texts to your brainwashed child. One day your child will see the “unhappy” parent for who she is, and your consistent actions at reaching out will be rewarded in 95% of cases.